Are you keeping pace with the flow of data into your business? The data you could use to inform your strategy and decisions is rising every day. The challenge is to judiciously choose what to data to use, and then how a business can match the speed of its decision-making to the speed that new data is being generated. For those that get the right balance, it creates more time to focus on growing the business, but for those that don’t, data can be a source of constant confusion and concern. 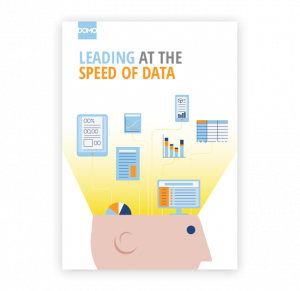 This report contains data from interviews with 300 CEOs in the UK, Germany and France to find out how they are responding to the challenge of being a CEO in the age of fast-flowing data. What are the biggest data challenges being faced by other CEOs? How do they balance their time between data strategy and operational issues? Where should you invest to take advantage of the data opportunity? "Domo has given me the ability to spend time making financial decisions rather than creating dashboards."